Technology has opened up a world of opportunities for clinical research and clinical development. 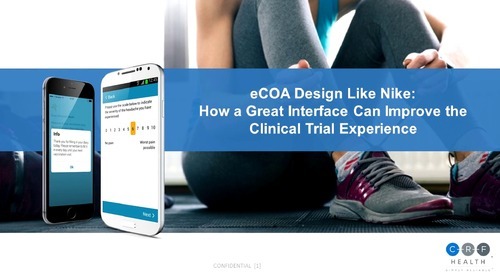 Electronic Clinical Outcome Assessments (eCOA) are one way technology is making an impact. Through the use of devices such as tablets, computers, handheld devices, and mobile applications, subjects can easily submit their medical data during a clinical trial. For this reason, study teams receive higher levels of compliance and higher quality data. 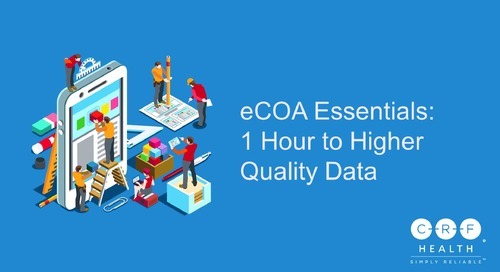 CRF Health's Michael Conde, Senior Director of Technical Solutions and Ervin Lukacs, Associate Director of Technical Solutions, present a special webinar: How to Select the Most Effective eCOA Modality for Your Study. Welcome everybody to today’s webinar. 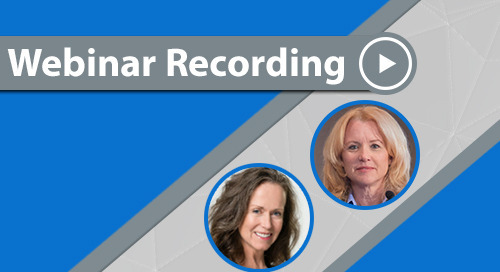 Today’s webinar is how to select the most effective eCOA modality for your study. We are very lucky today to have two presenters today. One of our presenters is Michael Conde. Michael is the Senior Director for Technical Solutions at CRF Health. As part of the technical solutions team, Michael is responsible for recording the business development stream with eCOA and eConsent system designs, best practices and technical implementations. He has worked with CRF Health since 2007, so about 10 years now. And he has been here as a software developer, project manager, and technical solutions engineer. We’re very lucky to have Michael, and he has a Master of Science degree in Mechatronics. 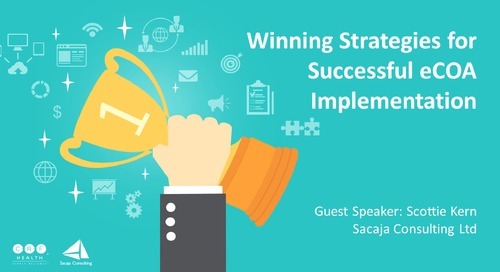 And we are really excited to have him on the webinar today. Joining Michael is Ervin Lukacs. Ervin is the Associate Director for Technical Solutions here at CRF Health. He works closely with our systems development team to design eCOA systems that best fit the client’s needs. He’s worked her for almost four years, both in this role and as an Application Developer. And he uses the knowledge that he’s learned while working on projects to develop solutions that collect the most accurate data possible for future clients. He has a vast knowledge in both the technical and regulatory sides of collecting data for clinical trials, and he has a bachelor’s degree in information science and technology. So welcome to both of our presenters today. We’re really excited to have you here. And let’s take a look at the agenda. Today’s webinar agenda, we’re going to understand the importance of modality selection. We’re going to talk about traditional methods of collecting clinical trial data, so we’ll give you background on that. And we’ll talk about the items to evaluate when you’re considering eCOA modalities. And then I think what everybody is looking for the most today is, we’ll talk about the kinds of eCOA modalities to support a successful eCOA modality selection. And then of course we’ll have the Q&A. So with that I turn the presentation over to you Michael, and thank you everybody for joining. All right, thank you very much, Jackie. And as Jackie just mentioned, today we will discuss why it is important to choose the right modality for your trial. And the main thing to consider here is that choosing the right modality has dire impacts on the overall success of your trial. Now that is because nowadays when you collect clinical outcome assessment data, it usually supports your primary or secondary endpoints, and therefore the data quality itself needs to be very good. 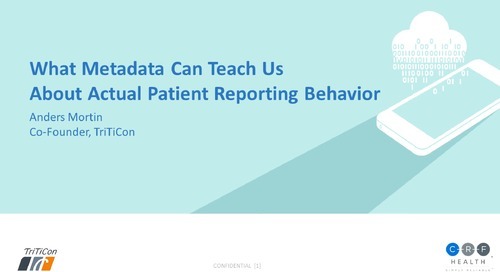 So what you have to pay attention to when you choose the modality is that you want to improve patient compliance, you want to improve patient retention. And also you want to make life easier for site personnel, because all of that will affect the data quality that you are getting out of the system that is being deployed. Now, looking at the modalities that are available, historically there was paper of course, and there was the first electronic system that was used, the interactive voice response system, or IVRS. And in addition to that, nowadays we have a lot of other modalities available in this industry, which are, for example right here, the provisioned handheld device instead of smartphones, provisioned tablets, which are tablet PC devices, and then of course, everybody nowadays is speaking about BYOD, bring your own device solutions, which usually entails a web application, which is your typical web diary, and then mobile applications, which is an app that is installed on the subjects personal smartphone. Now in addition to those modalities, of course, there is also a mixed mode, or mixed modalities are used to capture eCOA data in clinical trials, and that basically means that any of the modalities that you see right here are combined, either to capture different types of data or actually also capture the same data. And we will address that later on in this presentation. Now, first, let’s take a look at the traditional methods. We will start with the paper modality. Now, how paper modality works—I mean everybody is probably most familiar with the paper modality—a subject would come to the site, they were given a paper diary, a binder that they will take home. They complete the questionnaires at home based on the instructions that the site person gave them, and then return the completed binder back to the site at the next visit. Now that’s usually the first time the data is brought back to the site and available for review. Now, a lot of people still argue that paper is the most convenient modality that is still around and to be used. However, it is somewhat of a superficial way of looking at that modality. It certainly looks like you can quickly design paper questionnaires. It also looks very easy to deploy the paper because you just have to send it via mail and it’s all good. And it’s also very easily duplicated at the site, so if a new subject comes in and you are running low on questionnaires you can just use the copy machine to make a copy of it. But is that really good enough to have actually paper be the most convenient and easy to use modality, especially when talking about data quality. Is this really the lowest risk of collecting that type of data. 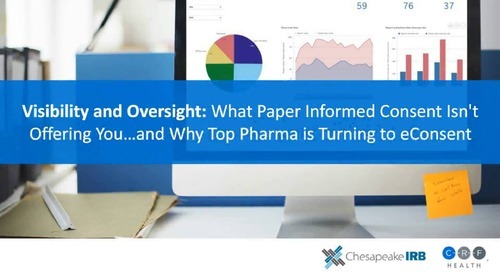 When we looked at some of the potential considerations that come with paper, the first thing that we have to address or say is that when you collect, the clinical outcome assessment on paper, then that paper is your source data. And in order to run statistical analysis on all of that data, you need to get that into an electronic system. So right there you already have manual steps that need to be done in order to transfer that data into the electronic system. So you have double data entry and of course source data verification. And with that, you always still have of course risk of human error, and therefore you do run into regulatory risk right there. Now, in addition to that, paper itself cannot easily meet ALCOA principles, and ALCOA itself stands for attributable, legible, contemporaneous, original, and accurate. And it’s the quality standard that was released by the FDA in 2007. And when we looked at these components, for example attributable, you can’t really prove who completed a paper questionnaire. For the legible, you can’t force a subject to write legibly, you can’t enforce that. Or you can’t enforce them not to provide any additional information in the margins. All of a sudden you have way too much information on the questionnaire page that you have to query at the end. And then also, on paper, you have to know date and time stamps, you don’t know when the patient completed these questionnaires. So they could be completing the questionnaire in the parking lot right before the visit when they go in. And of course, it becomes very difficult to prove on paper that the data was entered per protocol and the schedule of events. Now the next item to look at would be the IVR system, the interactive voice response system. With that system, when that system came along, basically the questionnaire was transferred into an audio recording, and the subject would use their personal phone, usually at that point it was a landline, they would call the IVR system and listen to the recording and then provide their answer using their keypad of the phone. Now, considerations for the IVR system are that you are actually going to an audio recording, so you have no visual representation of the questionnaire. And because of that, you can’t really deploy complicated complex questionnaires. It always needed to be simple questionnaires, simple yes and no answers. Maybe a 5- or a 10-point NRS or maybe a 5-point Likert scale. The question itself couldn’t be too long, otherwise it would be too confusing for a subject. But then certain other controls just weren’t possible. If you for example had a VAS scale or if you have a body map like an image map, when you have to point out where the patient or the pain is. Something like that of course is not possible when deploying an IVRS. Now, the other thing to consider with the IVR system is that, because it is just audio recording and there is no visual feedback, the subject itself, they have to concentrate a lot more. They have to put in full attention to listen to the question, because once the question’s gone and they have to listen to the Likert scale to the enter options at that point they can’t review it again quickly by skimming it over because there is no visual feedback. So there is a lot of concentration that has to go in when answering long questionnaires, and therefore patient burden is increased when using an IVR system. Now, with that I hand it over to Ervin, to talk about the new methods. Thank you Michael. So as Michael mentioned, we’re going to talk about electronic clinical outcome assessments, or eCOA. So this is a new methodology that has come away from using all the other systems that Michael was talking about, so initially paper, and then IVR systems, and then this new methodology. Some of the benefits that eCOA might offer is the automation or improved protocol compliance, so the errors can be corrected in real time. It also reduces the amount of errors because we can control with the electronic system the exact questions that we need the subject to complete. And we can also control the alarms, so we remind them to complete it at the appropriate time, and that also improves compliance. eCOA also overs ability to provide branching logic. What that means is, let’s say you have a questionnaire, where depending on previous answers, the next questions might need to be completed depending on their previous answers. So we can program that in directly onto the device so that the device will present the appropriate question based on the subject’s previous responses. On a paper system—a paper diary—the subject would need to figure that out and there would be some side notes next to that question stating that if you answered a certain way on Question 2, please fill this out—please answer a particular question. So that reduces the burden on the subjects, and the device will figure all that out accordingly. Another benefit is of course less paper. Reduced administrative burden towards your end of your study when you’re collecting all this data. And also, when you have to transfer that data from paper to an electronic format, you don’t need to do that because it’s already in that electronic format, and that electronic format is your source data now. I mentioned about higher compliance, and I’m just going to go over it. It offers higher subject compliance, having a subject use a device that they’re already familiar with, a smartphone that they can integrate into their daily lives. And it reminds them every single day to complete it. And we typically see a 90% or above compliance on average when using an eCOA methodology. It also reduces the regulatory risk with less confusions on data entries. So with paper methods, you could have a subject answering a question and they could cross it out and then select another one, they change their mind. There’s none of that when using an electronic format; they can go ahead and fill in an answer but if they want to go back and review it and change it before they save that answer they can go ahead and do that, and we know exactly which answer they meant to put in initially. There’s no need to look at the paper and try to figure out, okay what the subject tried to input here. It also offers a significant amount of cost savings, mainly on the administrative burden. That is typically with paper trials when using electronic clinical outcome assessments. And I mentioned briefly about the electronic source data. So there’s no need for double data entry as well as source data verification because that electronic diary is your source data. So I’m going to go through a couple of items that you might need to consider when choosing your eCOA modality. We’re going to go through four basic considerations, and I’m just going to go through these four in more detail on these next couple of slides. So the first one: How and when will the data be collected. So when you’re looking to pick the right modality for your study, we need to look at: Are these questionnaires being asked at home on a daily basis? Are they being asked during a time that they might be at work, or on the go, or travelling. Or are these questionnaires asked on a monthly, weekly basis at a clinical site visit. Based on those answers, you might choose one modality over the other to fit in with the patient’s daily life. You also need to look at the length of the study. So is it just running several weeks, several months, several years. All of that affects which modality is right for you. Also, we look at the study phase. Is it pre-clinical, Phases I though IV. Depending on your answer that also has a big impact on which modality might be best for you. You also look at the intervals at data collection. Do we have a daily, monthly, weekly, multiple times per day—you might have a morning and an evening diary for the subject. Another one is the type of data that you’re collecting. So are you collecting symptom diaries, quality of life questionnaires, data from any external devices like glucometers, spirometers, any medical logs or event-driven data. And then the last one is the characteristics of the instruments used. So we want to look into the length of the questionnaires, the format of the responses, any graphics or skills that might be used. 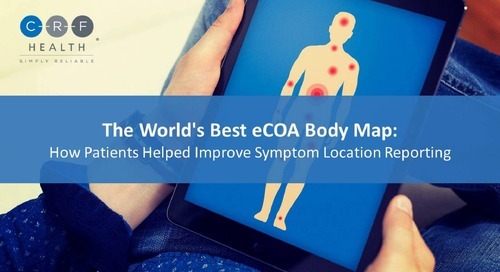 For example, if you have a body map it might be easier to implement it on a site-based device which may be larger and easier for the subject to select an area on a body where they can mark where they, for example, feel pain. Number 2. Who will be the data be collected from and where are they located. So we need to take a look at the age, any physical restrictions, dexterity issues, cognitive abilities that the subject may be experiencing or have. All that takes into big consideration when thinking of the right modality. Also, what language parameters that you are using in your study. One of the examples that I like to use all the time is the translations for German text. It is typically much greater when you translate English to German, the amount of text that you get in the German translation. So we need to take into consideration, it might look pretty on an English text on a diary, but when you translate it to German, it might not fit the best. So we need to pick one modality that fits all of the countries or languages that you might be using in your trial. And the last one in Number 2 here is geographic considerations. So you want to look at the locations, any hurdles, any customs or shipping costs, any restrictions like that, depending on where you are conducting this trial. Number 3 is: What is the ultimate use of your data? So Michael mentioned that this data could be used for primary key secondary label claim endpoint data. 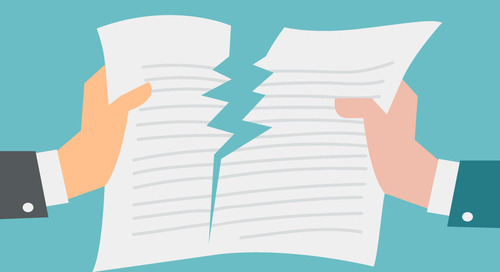 So depending on how will you use this data that you’re collecting through this electronic format, it will greatly determine which modality will be your best match. And then lastly: What are the considerations for the type of technology selected? So any supporting technology that we might need for the particular modality. One example is data sending or cell reception, so we need to ensure that if you want the data right away, we have to ensure that the subject has reliable cell service. Another one is what are the different costs between potential modalities. So we want to look at if we want to provide a take-home device to the subject versus a BYOD solution, what are the potential cost differences between those two, and what kind of benefit one might bring to the subject over the other. If there is any equivalency testing of the electronic version of the questionnaire that might be required, that needs to be looked at and built into your development process. But typically that does not extend timelines, so you can build that in and do it parallel with your entire trial development to do that equivalency testing to ensure that the electronic version of the questionnaire is the same as the paper version. And then lastly, what is the impact/burden of the modality on the patient’s daily life? 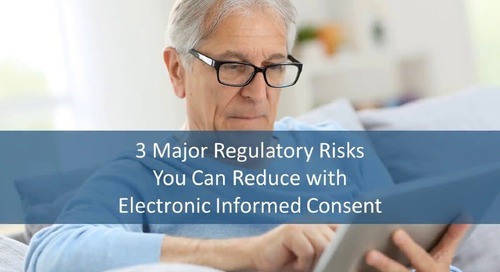 So we want to provide something that is convenient for them to use that’s not a burden for them so that way we can increase the compliance and increase the likelihood that that subject will continue to use the device and provide valuable data to you. All right, and with that I’m going to pass it off to Michael who is going to describe a couple of our types of modalities that are available for you. Thank you Ervin. So yeah, so with these basic considerations in mind, we will look at the modalities that are going to be available within the industry. And I mentioned them before, we looked at the provisioned handheld device, which is the smartphone that a subject can take home. Then we will look at provisioned tablets, which are tablet PC devices, larger devices that are usually used for site-based data capture. But of course there are always exceptions—they could also for example go to a subject’s home. We will then also discuss the BYOD solution, the bring your own device solution. There are two subcategories: the web application and the mobile app. Now, those two are different, they do not go together. 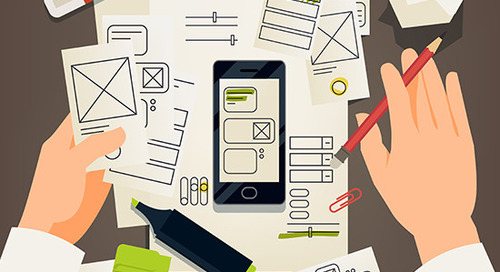 They are separate solutions and, depending on these basic considerations, especially the how and when will the data be collected, based on that, you would make a determination if a web or a mobile app for example is called for. And then we will also discuss the mixed modes, which are just combining these different modalities, either to capture different types of data in the same clinical trial, or even collecting the same questionnaire. Now, the first thing that we want to cover is the provisioned handheld device. That is the standard modality that the eCOA industry started off with. It is a handheld smartphone that has the eCOA software installed on it. And the cell phone itself is completely locked down, so no functionality other than the eCOA software is available. So there are no phone calls, no texting, no web browsing. Usually all of that functionality is completely turned off once the eCOA software is installed on one of the smartphones. Now, each subject in the trial will be given one of those provisioned handheld devices, and that ensures that the subject will see the questionnaire exactly the same way as all the other subjects in the trial. And that is an important fact when collecting certain data, especially for example Phase III primary secondary endpoint data for label claims. And that goes back to the basic consideration that Ervin talked earlier about. So when we look at for example, at what modality to choose, one of the main components there is what phase is it, and what type of data are you collecting. 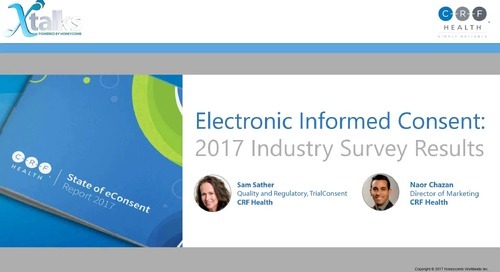 And because you’re collecting the important phase, primary secondary endpoint data, for example, you would then go with a provisioned handheld device to ensure equivalence that all subjects will see the questionnaire the exact same way. Now, the provisioned handheld device is an offline solution. That means there is no active internet connection required. These devices are completely offline; they’re basically in airplane mode. And that ensures that they can be used to answer all of the questions at any time. So especially important when you collect for example event-based diaries. Anything that has to do with, let’s say, a migraine or breakthrough pain, or overactive bladder events, where you have very subjective data that needs to be collected very close to the event, then you need an offline solution like the provisioned handheld device. An online solution like a web diary would not be the right modality to choose here, because with a web diary you are an online tool so you have to have the active internet connection, and let’s say you’re in an airplane, at that point you wouldn’t be able to record the answers. Now the provisioned handheld device is offline so with that, all of that would be possible. 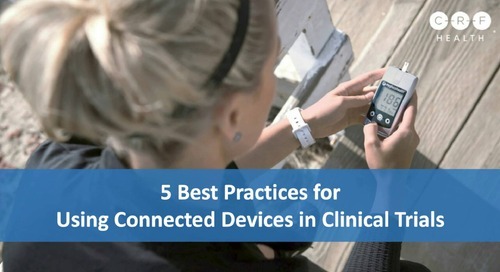 Then also, provisioned handheld devices will increase patient compliance. And Ervin mentioned that we have seen in the industry an average of 90% compliance, and that is because these devices have reminder alarms that are preprogrammed and they’re always available. And also, these devices can be used not just to collect the data but also to engage subjects. For example, give them positive feedback when they are compliant when they complete questionnaires or provide them with encouragement when the compliance goes down, that the device is then smart enough to say, hey, you forgot to complete your questionnaire today, please complete them in the future as scheduled. It will help the rest of the patient population. Now, the provisioned handheld device is a smartphone so a small handheld device. And that’s usually used for home-based data collection. It can be used for site-based data collection as well, and when you choose your modality, you have to see, again, what type of data are you collecting. If it’s only home based but also site based, but the site base is very limited, let’s say, a very short questionnaire and a single questionnaire once a month at the site, then a handheld device is certainly still a very good option. But if you have multiple questionnaires— 30 or 50 items—collected at the site, at that point you might want to consider using the provisioned device for home-based data collection but then go on to something of a larger device like the tablet PC device that we will discuss next. Now, the data sending from the provisioned handheld devices are done via that cellular data network or via the Wi-Fi. And I mentioned before, they’re completely locked down, they’re completely offline. It increases the battery life by a lot by using an offline mode. And then, when it is time to initiate a data send, the device then connects to a provider and sends the data either via the cellular data network or via Wi-Fi. The data sending can be initiated automatically, so you don’t have to have your subject click on a button. This kind of modalities usually send automatically and they can be scheduled to send based on any event—regular schedule, in the middle of the night, just initiate a data send, or let’s say a subject reports a very high pain value, and so then initiate a data send right away. These are things that occur in trials and are discussed, so those parameters are then implemented in the diary so that data sending occurs at the correct moment. Some of the potential considerations that we have for these provisioned handheld devices are, for example, the intermittent or infrequent data collection. Here comes to mind, for example, overactive bladder diaries again. Usually in those trials, you collect data only, let’s say, seven days before a visit. And so you have three or four weeks without data collection. And that means the device will most likely go into a drawer at the subject’s home and sit there and probably will not be charged. Now, once the data entry window opens up right before the visit, the device is not charged so the subject might not hear the reminder alarm. And those are the kind of considerations that you have to think about when looking at your study, at your indication. And maybe a separate solution has to be put in place. For example, in this case with the overactive bladder example, we can deploy a separate reminder message via text message to the subject’s personal cell phone. Those are things that are done in the industry to bypass this problem of the battery running out. That separate SMS message can remind the subject to say, make sure your device is charged because your data entry window is coming up in the next three days. Now, in addition to the battery and infrequent data collection, you also have to think about the size of that smartphone. Usually, this industry uses the biggest cell phones that are available so you maximize the screen real estate of the device while still keeping it small enough to be portable to be used at home, because the subject does have to carry around that additional device depending on the study, etc. But still, the devices are much smaller than a larger tablet PC device, so there is some limitation of what you can implement on these devices when it comes to question text and long Likert scales, for example. 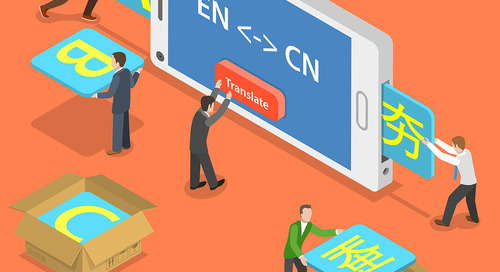 And again, also when you look at it—and Ervin mentioned it earlier—it might fit in English, but if you have a multi-country study that you’re trying to deploy, then you have to also consider the other languages. Ervin mentioned, if you go into German language, all of a sudden the text becomes much larger. So just because it fits in English doesn’t mean that this is the right modality for you, because it might not fit in other languages. Going from the provisioned handheld device now to the provisioned tablet PC devices. These are larger devices that are usually used for site-based questionnaires, so these devices stay at the site. However, again there are exceptions to this rule. You can also use a device like this of course to deploy at home. That is in certain cases a good solution. It definitely wouldn’t be for an event-based device, just because in that case a subject wouldn’t carry around a large tablet PC device, it’s just not mobile enough, you can’t put it in your pocket, it is something that would stay at home. But if you have a daily diary, a nightly, an evening diary every night, so the device can just be on the nightstand and every evening the subject would fill out the questionnaire. 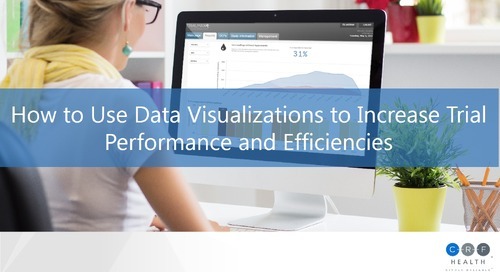 You would be able to use a provisioned tablet PC for home-based data capture. But mostly these devices are used at the site, because at the site, the questionnaires captured there are more complicated, more complex, and therefore you need the larger screen real estate. The device itself, the tablet PC devices are also usually offline solutions, so just like the provisioned smartphone they’re completely offline, all functionality is always available. And the data sending is initiated either via local Wi-Fi at the site or also cellular data network, depending on what device is used for that modality. The automatic data sending of course can also be enabled. And, looking at this device, at the site it will make it easier because of the large screen, it will make it easier for site personnel to use these devices as well. So when you look at deploying a modality, everybody always of course looks first and foremost at patient burden. We have to make the patient’s life easier by using this technology. But also site personnel, we have to consider their life and what they need to do throughout the day. And deploying a tablet PC device with a larger screen does help site personnel, because you can have a visit scheduled, a visit activation page on these devices that makes it fairly simple for site personnel to see what’s next, what needs to be done, and the larger screen real estate can provide that information. A smaller smartphone can provide this type of information to a certain degree but again you can’t put that much information on a small screen. Now some of the considerations. Why you want to deploy these devices? Again, it mostly comes down to the larger screen device, you can actually mimic letter-sized questionnaires. So if you have complicated questionnaires where everything meets that already developed on paper and it has for example a paper layout on a provisioned smartphone, you can’t deploy a table layout just because usually you can only deploy one question with one set of answers. On a tablet PC device you can deploy the entire paper questionnaire in the same layout with that table layout for example. And therefore you mimic exactly the way the paper questionnaire was designed an implemented. Also, because of that, it allows you of course to implement more complicated questionnaires that on the provisioned device you wouldn’t be necessarily able to do. Now—Ervin talked about this earlier—when you look at the patient population and you have patients with visual or physical impairments, these devices are a valuable modality as well, because instead of using a table layout and mimic the paper questionnaire you can actually just go to single question with answers available on one screen. Now, because you have only the single-question layout, you have a lot more room on the screen, so you can blow up that font size for visual impairment, so subjects have it easier to read the questionnaires or make the controls much bigger on the screen, so subjects with physical impairment can use their knuckle or even their elbow to answer the questionnaires. So they don’t have to worry about having fine motor skills to hit the smaller buttons; that might be a problem on smaller handheld devices. Now, before I hadn’t over to Ervin, I want to discuss the potential considerations for these tablet PC devices. And the two main aspects here are cost and portability. We discussed a lot already that the portability is very important. So if you give this device to a subject to take home, it would not be a good solution for event-based diaries because the subject is not going to carry around such a device. But also, if you deploy small studies, then the cost might become excessive, and a handheld smartphone solution might be a better option. Or any of the BYOD solutions might be a proper option. And with that, I give it over to Ervin. Thank you, Michael. So I’m going to be discussing the hot topic in the industry right now, the bring your own device, or BYOD. And the two different things I’m going to be discussing in there are specifically the web and an app solution. The case for both of these types of solutions is that it allows the participant to use their own device to complete the questionnaires. So that way, it reduces the amount of shipping that you will need to do if you would perhaps went down a route of provisioned devices. This way there’s no need to ship devices to the subject. And it’s also less burden on the subject because it doesn’t require them to perhaps two different devices with them all day. BYOD can be utilized on smartphones, tablets, personal computers, or laptops. So first I’m going to be talking in detail about a web application type of solution for BYOD. 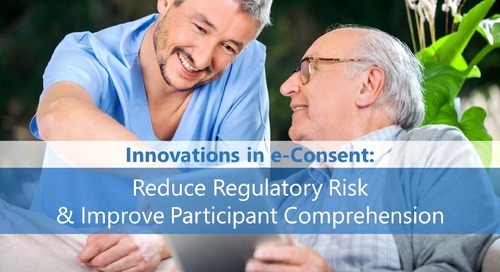 So the web application allows patients and sites to connect to any internet-enabled device with a web browser to complete online versions of a particular questionnaire that they might need to do. It has the ability to automatically resize based on the device. So they’re open to log in to this type of modality, a smartphone, tablet, desktop computer, and depending on the device that they’re logging into, the web application is smart enough to resize the questionnaires and adjust the way that they look depending on the size of the screen, so it’s still appropriate and it still looks good to the subject. It’s well suited for studies with a large number of subjects, and also long-term intermittent at-home collection periods. There is also significant cost savings that may be evident when using this modality. Because there are no devices that are involved, anyone can use this modality as long as they have a capable device that is connected to the internet and have a web browser on that device. There’s several potential considerations that you may need to look at when deploying a study using a web application BYOD modality. First one is that screen sizes can vary, depending on the device, so that might create a potential bias when completing the questionnaire. So let’s say that a subject is logging in from a smartphone. The questionnaire might look quite different when, let’s say, from earlier in the week, they logged in from a desktop computer. And the layout was slightly altered on that desktop computer and might look different. So when they’re answering on the smartphone device, it might steer them a different way, that they might answer that question. So that has to be taken into consideration. Another one that internet must be required to use this modality. Like with the others that Michael mentioned previously, the provisioned tablet as well as the provisioned take-home device, all of those had the offline data capture capability. With the web solution, that is not the case and it does require an active internet connection from the subject so that they can log in and complete the questionnaires. And then moving on, we’re going to talk about the BYOD mobile application. So this is an application that runs on the subject’s personal smartphone or tablet device. And it’s a downloadable application that they can get right on the app store relevant to the manufacturer or the operating system manufacturer of that device. So for Apple iPhones, they would just go to the App Store, search for the app name, download it, and it will be downloaded directly onto the device. And the same goes for Android phones, so they’ll go to Google Play Store, and download it. There are typically features where it would automatically figure out what type of device that the subject is using. So all they need to do is just press a download button and it’ll take them to the appropriate store. So that reduces the burden if someone is not so technology advanced and they might not be that familiar with what web app store that they need to go to. So it’s very simple, they just press a button and they’re taken to the right store based on the device that they’re using. The app-based modality can also reduce hardware cost because you’re not required to ship devices out to subjects so that they can use just the device that they already have on hand. It reduces the burden on the patients to allow them to use the device that you’re already familiar with. And in today’s world, cell phones are carried around everywhere by people and they’re used intimately. People do a lot of activity on their phone already, so they’re familiar with it, they know how to use it. Most people don’t even leave their house without it in today’s world. So it really is beneficial to the patient to have just an app running on that device which they can access at any time and you know that they’re going to have that device on them most of the day anyway. So it’s very convenient for that subject to get a reminder, log in to that application and complete the questionnaire, and then move on with their day. But you still get that quality data that you need for your trial. It’s suitable for patients in areas with high penetration of smartphones. So when you’re looking at perhaps deploying a BYOD mobile application solution, you have to look at what countries or what areas of the world that you might be launching to, and what the smartphone penetration in those areas are. It’s very important that we look at that, so that modality might perhaps in a certain area might not be correct, because that smartphone penetration is not that high. So you might need a higher percentage of provisioned devices available for a particular country, which might negate some of the hardware savings that you were looking at while initially trying to deploy a mobile application or BYOD study. It is also recommended just for short and intermittent data collection periods. The reason for that is that a typical life of a device is around two to three years, a smart device for a patient. So they might go ahead and get a new phone, then they have to go through some type of reactivation process, re-logging in so that they can get back where they left off. So we just recommend it typically just for short periods of time, intermittent data collection periods as well. So mobile application considerations that you might need to consider. Regulators have some concerns about the validity and integrity of an app-based BYOD data. One of the main reasons for that is that—Michael mentioned previously—the provisioned tablets as well as the take-home devices are locked down, so you have full control of what happens on that device. And when that application goes onto personal device of a subject, you lose some of that control. The app could be deleted from the phone. The notifications perhaps or completing the questionnaires could be turned off. They just go into the settings and turn off notifications. So you might need a backup way of notifying that subject and that could be either via a direct text message to that same device, or having an email notification sent out to the subject, where they’re reminded that they should log in to that application and complete it. So there are ways around it, but it definitely adds a little bit of validity and integrity because we lose some of that control. It’s never also safe to assume that BYOD can be used by every subject. This goes back to the earlier point that I was talking about, looking at the smartphone penetration for every subject. And some subjects might not want their clinical data or medical data on the same phone that they use daily. 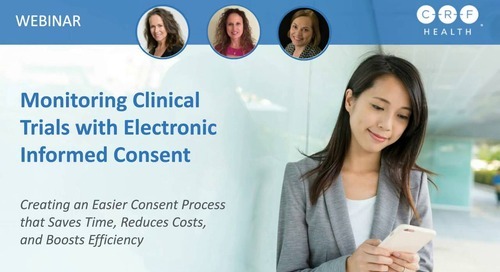 So even though they might have a compatible smartphone, they might choose to have a separate device anyway for collecting the information that you might need for your clinical trial. And then the last one is about desk support. So if you offer a help desk service, where they can get in contact, get some answers based on if they’re having issues, logging in, perhaps. Since there are so many varieties of devices out there, the help desk might not be familiar with every single type of device, so they might not be able to provide support on that device. They might only be able to support the actual application that’s running. So if they’re having hardware issues with the phone, they might redirect them to the manufacturer to ask for their help instead. So that’s just some of the considerations they might need to look at when talking about the app-based BYOD solution. And with that I’m going to pass it off to Michael who is going to talk about multi-modal or mixed modality studies. All right, thank you Ervin. And yeah, so we’re going to be looking at this last item, the multi-modal way of collecting data. And there are two ways of looking at it. One is where you combine the system modalities that we just discussed in a trial to collect different types of data. So you would use a provisioned smartphone or maybe the mobile app to collect home-based data, but then when the subject comes to the site, they will use let’s say the tablet PC device, the provisioned tablet device, at the site to collect the site-based questionnaires. So you’re collecting separate different data on different modalities within the same trial. And that is done very frequently within this industry and there is really no problem. All the data from the different modalities would go into the same database, usually the same portal can be used to review that data and run reports on it. So that is a very standard way that is done nowadays, especially using tablet PC devices at the site, because of the convenience that they bring. But then of course using a provisioned smartphone or using, for example, the mobile app for patients to use at home, just because the tablet PC device we be kind of too big to send home with a subject. Now, there is a second way of looking at mixing modalities, and that is you actually collect the same data, the same questionnaires, within the same trial, on different modalities. And there is regulatory risk involved with this, and usually you want to stay away from that type of set-up whenever you can. Now, if it is exploratory data and you just use it internally in your organization, then you can certainly collect it that way. But if it is any data that you are planning to submit to a regulatory authority, you really want to try and stay away from mixing modalities collecting the same questionnaire in the same trial. However, there are certain studies, certain instances where that is actually necessary. One example is oncology studies. During the treatment period when subjects come into the cycle, they need to complete the questionnaires at the site, so a tablet PC device is used at the site to complete those questionnaires. However, once the subject goes into post progression or in long-term follow up, subjects usually are too sick, they do not come into the site anymore, however they’re still required to complete those questionnaires. Now usually, this tablet PC device that is used at the site for this type of questionnaires is not given then to a subject to take home, just because that is costly. So then you have another option, you have to find another modality to collect that data while the subject stays at home. And here is, for example, the ability to say, you could use a web diary because of the long-term you don’t know how long that long-term follow-up is, so a web diary is a good solution when the study is very long. Or you could give the subject a smaller provisioned smartphone to take home. Or you could even go completely away from any of the modalities we talked about and you could use a interview phone call, which again is actually a different modality to collect that data, by the site personnel calling the subject and then going through the questionnaire that way. So there are studies that require mixing these types, the modalities from the same questionnaire. But again, it does bring in regulatory risk, especially when you look at the equivalence. And Ervin mentioned that earlier, so if you use different modalities, and the screens all of a sudden look different, you cannot say 100% that there is equivalence between all these different devices that are being used, the different modalities. 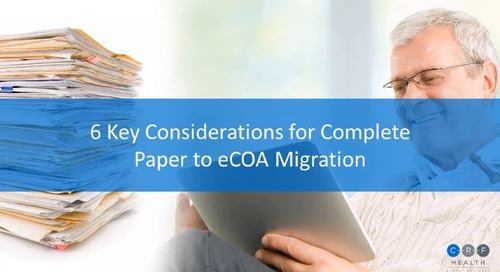 However, eCOA vendors in the space can support you with electronic validation, there can be equivalency studies run, they usually run parallel to a study setup, and all of that can be done because of these studies that actually require that type of setup. Now, we talked about all of those different modalities and considerations, especially those four basic considerations, those four questions that Ervin discussed earlier. And in the end now, you have to decide, okay, which is the best modality for my study. And the one thing right up front that you have to realize is, not one size fits all. You can’t just say, oh well, the provisioned device is the best solution because it is the most flexible and it can go everywhere, so I’m just going to use that. You really have to look at your study parameters and then make a decision. And the study parameters are of course the where you’re capturing the data, who will be answering the questionnaires, what is the patient population, what is the indication, but also what type of data are you collecting, especially what phase are you collection the data for, and is it primary secondary endpoint data, what are you going to do with this data. So all of those parameters go into the decision making. One you have looked at all those parameters, I would recommend you actually contact your eCOA vendor, because eCOA vendors are specialists on finding the proper solution. And even if you chose already a modality and you bring that to your eCOA vendor, they might discuss with you all the risks that are involved with that modality versus all the risks that are involved with maybe another modality, so that you further understand which one is actually the most appropriate modality to choose. Now, from my personal perspective, what I can recommend is you just look at your trial and all the modalities and then you just consider, okay, if I would have to personally go through the trial and, for example, I would have to complete let’s say 15 questions twice a day for an entire year, which modality would be the most appropriate. And you will then easily find which one is the most appropriate. Can the tablet PC device be used or is it too large to carry around. Maybe a BYOD, like a mobile application, looks appropriate but that might not work out because of the phase that you’re collecting this data for. Now, as you know, CRF Health is an eCOA vendor. And here is just a quick look at our suite of eCOA solutions. And I just want to mention here that if you would like to know more about this, we can go into further detail. Please feel free to reach out to us, and we can certainly discuss all of these items in more detail. And with that, I give it back to Jackie for an additional poll. 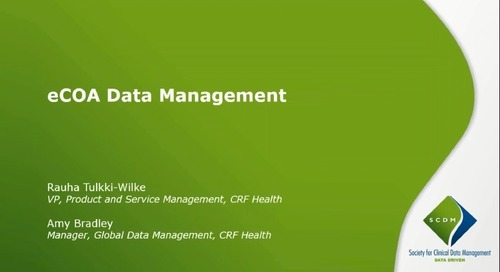 So as I said, we do have the resource hub, and you can find it by going to resources.crfhealth.com And there’s multiple resources there, these are just a couple of the resources that we’ve done fairly recently. So we have videos, ebooks, webinars, things like that, that are all up on that website. And with that, I will hadn’t this back to you, Michael and Ervin, to take any questions that the audience has, and then we’ll wrap things up from there. Which modality is the cheapest? So I will just quickly speak to that, because it is actually a question that comes up very frequently, especially with the release of BYOD solutions. Because it does seem once you go web or app with the BYOD solution, it should be way cheaper. And so the question of course, which modality is the cheapest, fits right into that hot topic. And you can’t just go by let’s say the cost of the difference of the device versus a subject using their own smartphone so therefore you eliminate that cost and all of a sudden of course BYOD solution needs to be cheaper. Because that’s usually not the case. If you just look at BYOD and if you look at the mobile app, I think nowadays everybody really talks about the mobile app installed on the smartphone. 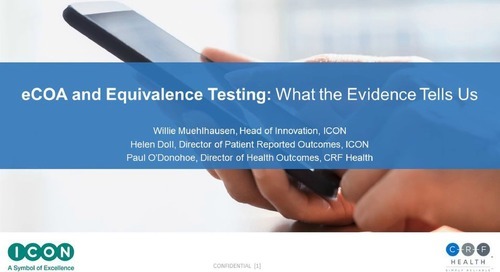 The things to consider there is that a lot of people actually do not have valid smartphones that can use a mobile application for a clinical trial. So for example, in the US you can expect 20-25% of subjects not having that type of smartphone. So you have to then provision smartphones for the mobile app. You wouldn’t provision the provisioned handheld device that we mentioned earlier, you would actually provision just a random cell phones that would have that mobile app installed on them for the subject to take home. Then also you have to consider, for example, subjects not wanting to make their clinical trial data that they are answering with their mobile phone. Something we have seen is that subjects are concerned that for example their children are using their phone and all of a sudden you don’t want that medical information to go on there. So when you look at BYOD, it’s not necessarily the cheapest version, versus of course if you do a provisioned device, that might also be then less risk. So depending on what parameters your study comes with, the proper modality is chosen and one of the considerations, one of the parameters of course is cost. But there is a lot of other things that need to go in to determine which modality is actually going to be cheaper. And it’s not just the modality, it’s actually which whole eCOA system in itself is going to be cheaper. How do we ensure that the data transmitted from the devices is securely transferred to a database, even where a connection might be compromised. So security is a huge concern. And we don’t take it lightly. So we use the latest and greatest in encryption technology to encrypt the data that is on the devices, that are located, that the data located on the devices. And we also encrypt the transmission during the transmission of that data through any wireless network that the subject’s device might be connected to, so that if the network that they’re using is compromised, there’s no way that someone could be snooping or stealing that data. And even if they did, it would be useless to them, because it’s fully encrypted, and it would just look like gibberish to them. So we look at security very closely, and we ensure that all the data is encrypted. That is true for all the modalities that we talked about today—the take-home diary, the site-based questionnaires on the slate device, as well as both the BYOD solutions for the web solution as well as on the mobile app. So we keep that data separate, we encrypt it, and then also secure it while in transmission. Okay. So it looks like we are just about out of time today. And so I want to assure everybody that if you have any other questions, there is a survey following the webinar. So once we exit out of this, you will be able to submit any additional questions that you might have for the presenters. If we did not get a chance to answer your questions, we will make sure the the presenters have a chance to respond to them for you after the presentation today. So with that, thank you everybody for joining our webinar, I hope you have a great rest of your day. And we’ll see you on the next one. Thanks so much, everyone. Have a great day.